In a recent article titled “IOL Surgery Astigmatism Elimination”, published in the mivision journal, Dr Rick Wolfe discusses a new paradigm in IOL surgery: astigmatism elimination rather than astigmatism reduction. “A quiet revolution has occurred in intraocular lens (IOL) surgery. It has come not from one remarkable development, but rather from a fortunate confluence of several. 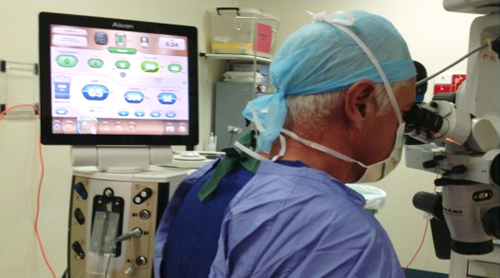 For me, this is the most exciting thing to happen in IOL surgery and one I am privileged to be a part of.” Dr Rick Wolfe writes. This entry was posted	on Thursday, March 24th, 2016 at 4:37 pm	and is filed under In the News. You can follow any responses to this entry through the RSS 2.0 feed. You can leave a response, or trackback from your own site.